Giver your favorite optics proper support using the Weaver 1" Detachable Top Mount Rings. This pair of rings is compatible with 1" maintubes and can be mounted on Weaver-style rails. To reduce weight, the saddle is made of aluminum while the strap is crafted from steel to improve strength and durability. 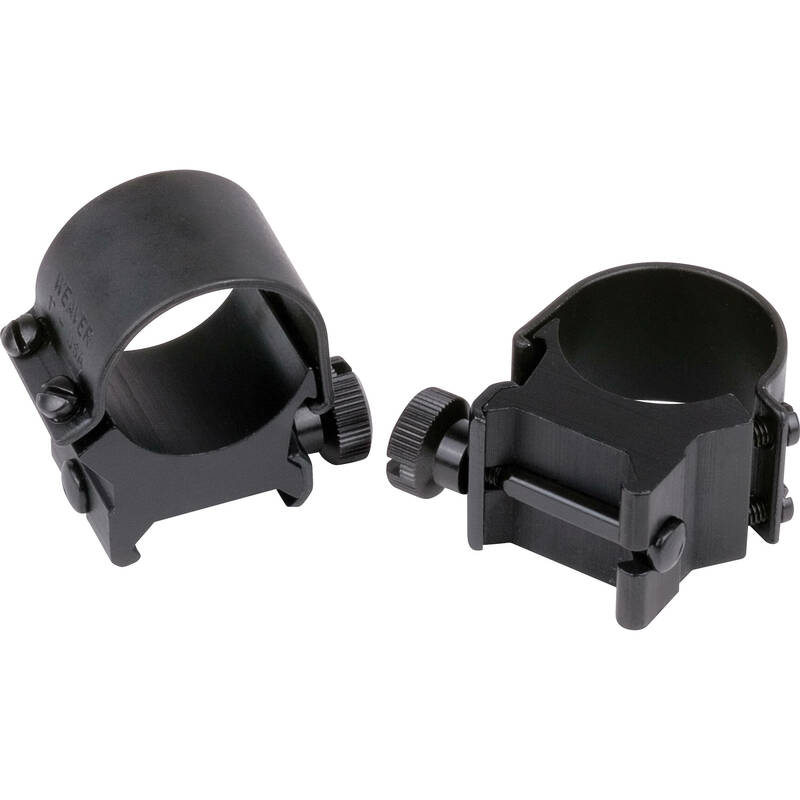 Box Dimensions (LxWxH) 4.8 x 4.5 x 1.1"
Detachable Top Mount Rings (1", Low, Matte Black) is rated 5.0 out of 5 by 2. Rated 5 out of 5 by Joseph from Very good set of rings. I'm happy to see B & H handling these products, the top mount 1 inch low rings is what I needed, this is a good named product with a good price. Perfect !!!! Rated 5 out of 5 by Gary from Weaver Rings Arrived very quickly. I was surprised as the shipping was to Australia. Good quality. They were on sale. Extremely good price.